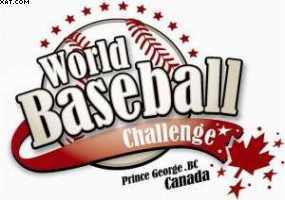 The 2011 World Baseball Challenge is under way, and Alberta is well represented on the Canadian National Team. Among the Albertans selected to the squad are Calgary natives Colin Moro and Geoff Freeborn, who have both played for their hometown Calgary Vipers and Dustin Northcott from Rocky Mountain House. Another player with Albeta ties is Jordy Alexander, who although a BC native, currently resides in Calgary. All these players have helped Canada so far. Colin Moro was a big part of the offense, scoring in a 4 run 1st inning, and knocking in a run and scoring in the 4th inning, when Canada put up 4 more runs, en route to an easy 13-7 victory over Bahamas on Sunday. On Monday, Dustin Northcott and Geoff Freeborn both pitched scoreless frames, helping Canada preserve a 6-2 victory over Beijing. On Tuesday, Jordy Alexander threw a hitless inning and Moro knocked in another run, but it was not enough as the undefeated and always tough Cuban squad defeated Canada 9-4. Play continues with games against Japan on Wednesday, and the round-robin play finishes on Thursday with a match against Chinese Tapei. The playoffs start on Friday with the championship game being played on Sunday afternoon. Best of the luck to these Albertan players and the rest of their teammates on the Canadian National Team.